Such fun! I'm wearing it right now! 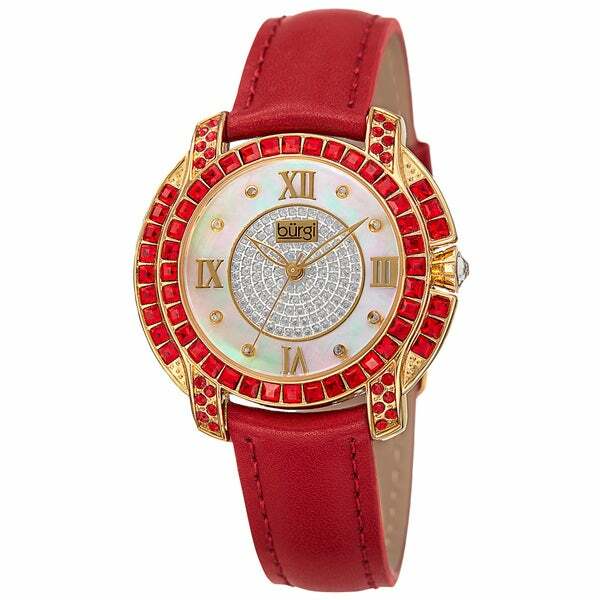 This Burgi women's timepiece is the very definition of luxury and elegance. The watch features a case completed with square Swarovski crystals, and a dial that includes genuine diamond markers. The fashionable timepiece contains reliable Japanese quartz. Wife wanted a red watch to match outfits and this seemed like a good medium quality product.